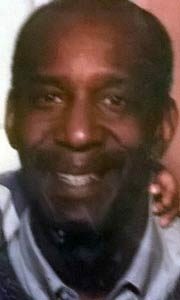 By Edgefield Advertiser on August 31, 2015 Comments Off on David Bailey, Sr.
EDGEFIELD, S.C. – Mr. David Bailey, Sr., age 75, of Edgefield, passed on August 26, 2015. Survivors include wife, Mrs. Jessie Alma Bailey; children, Shellia Combs, Baltimore, MD., Danny Bailey, Baltimore, MD., Judy Bailey, Baltimore, MD., Doretha Bailey, Baltimore, MD., Cecil Bailey, Baltimore, MD., David Bailey, II, Baltimore, MD., Vona Bailey, Baltimore, MD., Dolly Bailey, Baltimore, MD, Theresa Chinn, Edgefield, and David Bailey, III, Anderson, SC. ; many grandchildren and great-grandchildren. Services will be held Saturday, September 5, 2015, 1:00P.M., at Pleasant Grove Baptist Church, 1120 US Hwy 25N, Edgefield, SC 29824, Rev. Oscar Brown, officiating. In lieu of flowers, please make contributions to Pleasant Grove Baptist Church. Online condolences may be made at www.arlingtonfuneral.com.